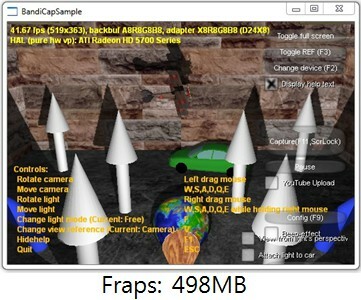 - Bandicam can record, not only "DirectX/OpenGL programs" but also "Desktop screen". 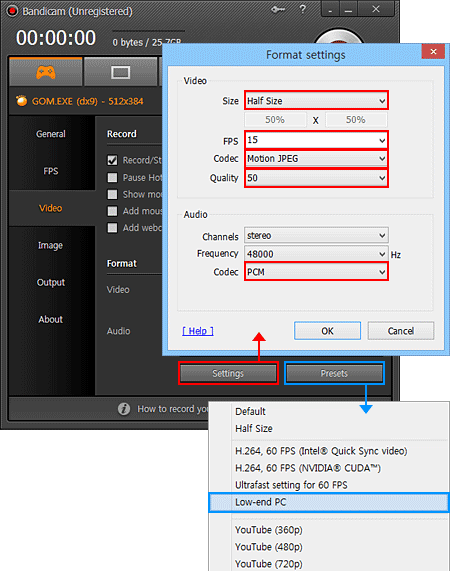 If you have a lag with Bandicam, you can reduce the lag by reducing "Video Size, FPS, and Video Quality"
- By recording time: The recorded clip can automatically split into separate files by your "Size" setting. - By recorded file size: The recorded clip can automatically split into separate files by your "Time" setting. - You can recover a corrupted/broken AVI file that can not be played.